Tongue in Cheek! 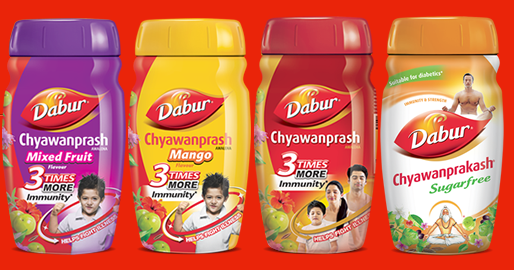 : Chyawanprash Champ! Mummy, mummy are you there? See..teddy fell down the stairs! His legs are weak,can we get a new pair? And here is your milk in your superman cup! Not feeling sleepy are you little man? Oh my, you have been out too long, look at your tan! But why can't teddy play along? And you always take the magic potion with joy! Yummy! Can I have some now? Please please please mummy, now now now! After you finish your milk,and listen to this story with your eyes tinkling! With kings and queens.Mama? Is there a fairy? Coz it's a magical strory, which is true! Let me tell you how it was made! Chyawana was his name, he never liked his mother's stew! But his health was a little mushy! He kept neglecting it!And wanted only to meditate! And out of fear, no one could berate. Who was so beautiful, among the gods she caused strife! And so he couldn't keep two pesky doctors at bay! They couldn't keep their eyes off Chyawana's dame! She could see the doctors were a little shady! And convinced the doctors to treat Chyawana, who was really sick! And they cured Chyavana then and there! Did you know how they did it? They created the first batch of your magic potion, that's what they did! Chyawanprash it was named and grew it's fame! Even Indra's vajra he could tame! To feed Chyawanprash to her child anyhow! Bheema, Arjuna, and Hanuman too! If they always take a spoonful without the drama? And though I don't admit it, I quite like your little drama! Will they take Chyawanprash daily? To build a stronger, healthier and more immune India! And strong like our ancient super men? And none would be happier than me. India will then be second to none! Bring in more new flavors Dabur! Very interesting. Liked the way you put it "Tasty Gooey". All the best for the contest. I would appreciate it if you read my entry at http://www.indiblogger.in/indipost.php?post=299732. You might just love it. Beautifully crafted! I love poetic posts. This post scores very high on originality! Good luck Aditya! Wonderful poems..... I have gone through all your poems. This one is just awesome.